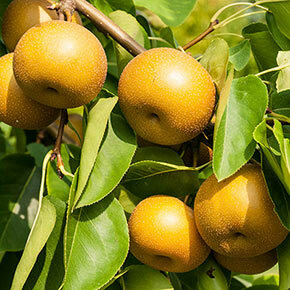 As the name suggests, the pears from this tree have a delightfully sweet flavor. They're perfect for eating fresh—feature it in an appetizers tray and it'll be the talk of your fall get-togethers. Also, if you want to keep homegrown, delectable fruit around the house even in the colder months, Drippin' Honey is the perfect choice. 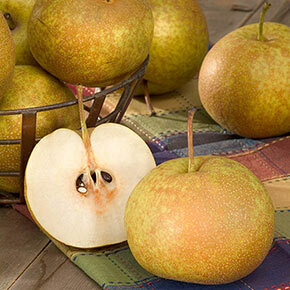 These pears can keep for up to 6 months in common refrigeration. As the fruit matures in October, that'll give you fresh flavor through winter. 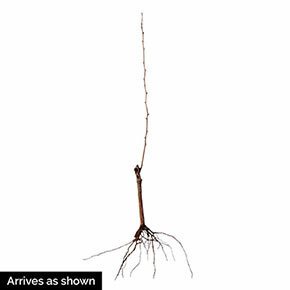 It's an easy tree to take care of, it's shown a good resistance to disease and insects in trials. It's as beautiful as it is productive, the large, waxy leaves turn a beautiful reddish-orange in fall. Pyrus serotina hybrid 'Drippin Honey' PPAF Drippin' Honey will need an ornamental pear in the vicinity for pollination. Ornamental pears are popular home-garden plants, so there should be some in the neighborhood. Foliage Type: Large, waxy, dark green leaves turn reddish-orange in fall. Soil Requirement: Well-drained, mediumj fertile soil.